This webinar will cover the common elements of neglect and cruelty Law Enforcement Officers will encounter on a daily basis. 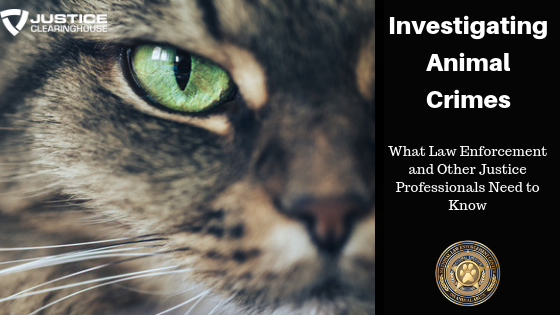 The instructor will cover tools learned throughout her experience in both the Animal Services and Law Enforcement field to guide officers to a positive outcome. As Law Enforcement around the country is faced with animal-related calls, this block will cover similarities of offenders and calls in animal services offenses and law enforcement interactions with offenders. It aims to provide insight into the Law Enforcement and Criminal Justice community on challenges, options for resolutions, and charges often utilized in animal-related crimes. 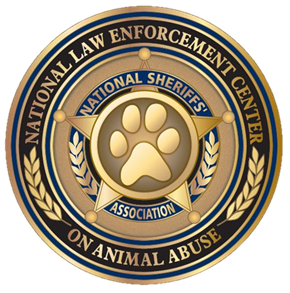 The National Law Enforcement Center on Animal Abuse was established by the National Sheriffs’ Association to provide law enforcement officers information on the realities of animal abuse and to promote their proactive involvement in the enforcement of animal abuse laws in their communities. Through our partners, the Center will serve as an information clearinghouse and forum for law enforcement on the growing problem of animal abuse and its link to other types of crimes, including violence against humans. The Center also promotes officer safety in officer-dog encounters through continuing education and training. The National Animal Care & Control Association (NACA) was formed in 1978 for the express purpose of assisting its members to perform their duties in a professional manner. We believe only carefully selected and properly trained animal control personnel can correct community problems resulting from irresponsible animal ownership. NACA’s purpose is to preserve the Human/Animal Bond by insisting on responsible animal ownership.